Ontario's tourism minister says her government would be happy to provide a new home for the statue of Sir John A. Macdonald that was taken down in Victoria, even though there is already a large statue of Macdonald directly in front of Queen's Park. Ontario's tourism minister says her government would be happy to provide a new home for the statue of Sir John A. Macdonald that was taken down in Victoria, even though there is already a large statue of Canada's first prime minister directly in front of Queen's Park. Victoria city council voted to remove the statue as a gesture of reconciliation last week. It noted Macdonald's role in establishing the residential school system, which tore some 150,000 First Nation, Inuit and Métis children away from their communities and families. Days later, the statue was removed, wrapped in foam and carted off on a flatbed truck to a storage facility. 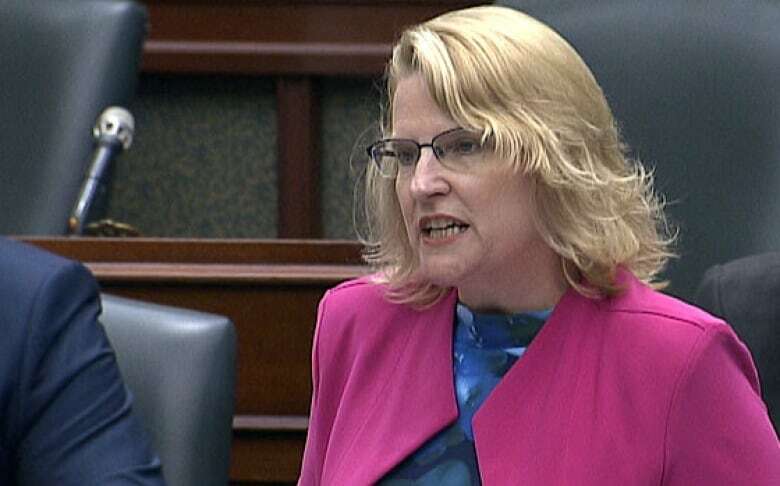 On Monday, Sylvia Jones, the Dufferin-Caledon MPP named to PC Premier Doug Ford's first cabinet this summer, said her government has written to Victoria's mayor about acquiring the statue. "History matters," she said during question period. Jones said she realizes Macdonald's legacy has been a "cause for much discussion," and said he was a "flawed" individual, but that "people are complicated" and the statue should be a place for people to learn. Goldie Ghamari, the PC MPP for the Ottawa-area riding of Carleton, went further to defend Macdonald. Ghamari said she was "shocked" by Victoria's decision, calling it an attempt to erase part of Canada's history and "political correctness run amok." She added that 1867 "was a different time and we should not judge our founding fathers solely on the knowledge we possess today." Neither politician used the words residential school. The Grand Council Chief for Anishinabek Nation Glen Hare questioned why the government would go to such lengths to get a statue that many in his community find deeply offensive. "We still have people trying to find out who they are and where they come from … and all of this is because of that one man," Hare told Radio-Canada. "We don't have room for that statue, or for that kind of history at all." Hare suggested the statue should remain in storage, allowing people to move on to better projects. He said he'd like to see the government do more to revitalize Indigenous culture and language, for example. "We don't need statues," he said. Reached by phone, the office of Victoria's mayor said it has no plans to sell or give away the statue. 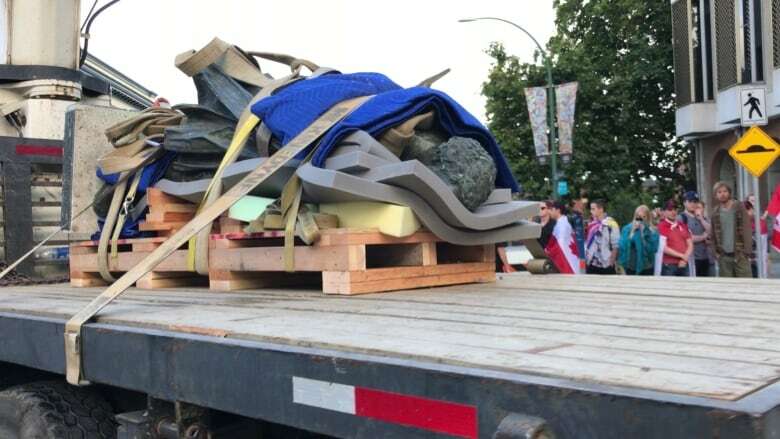 PC House leader Todd Smith wrote to Victoria Mayor Lisa Helps on Aug. 10, even offering to co-ordinate the transportation and delivery of the monument. Smith said the Macdonald statue, if acquired, would stand on Ontario government property, and praised the former prime minister for building and shaping the country and province. "Our government does not believe his memory and legacy should collect dust in a storage facility," Smith wrote. "Tearing down statues does not erase the past."